Atheism: Proving The Negative: Atheism and the Case Against Christ, now available. 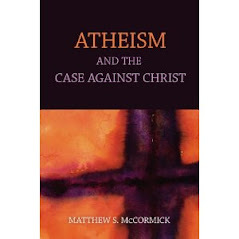 Atheism and the Case Against Christ, now available. It's available at Amazon here. In the coming weeks I'll be giving talks at UC Berkeley, Stanford, CSUS, UC Davis, and for Sacramento and Bay area atheist groups. I'll post details here as they are firmed up. Great! Hopefully on Kindle soon. Congrats. Bonus points for the Fett t-shirt. Like like the blurb by JOHN LOFTUS on the back cover. "nothing further need be said". I appreciate folks taking the time to follow and comment on the blog. And in generally comments are welcome. But as I outlined above, I'll delete comments that are abusive and that undermine serious discussion of the issues. Just bought myself a copy. Really looking forward to starting it. Is it ridiculous or what that Pimps, Politicians and Powerlords are in the Pulpit and then their Prostitutes? 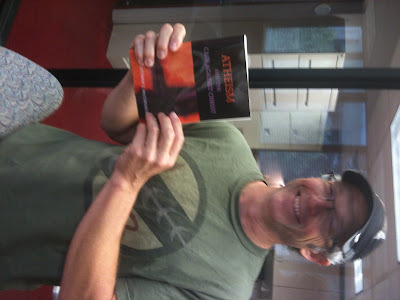 Get Book, eBook and Audiobook @ http://zeal-book.com. If you were ever turned off by organized religion you will find the reasons why in this book! Please share with as many people as you can think of that might feel the same. About 30% through it so far, hopefully there's room for a Bayesian example of improbability as well. So far, so good!